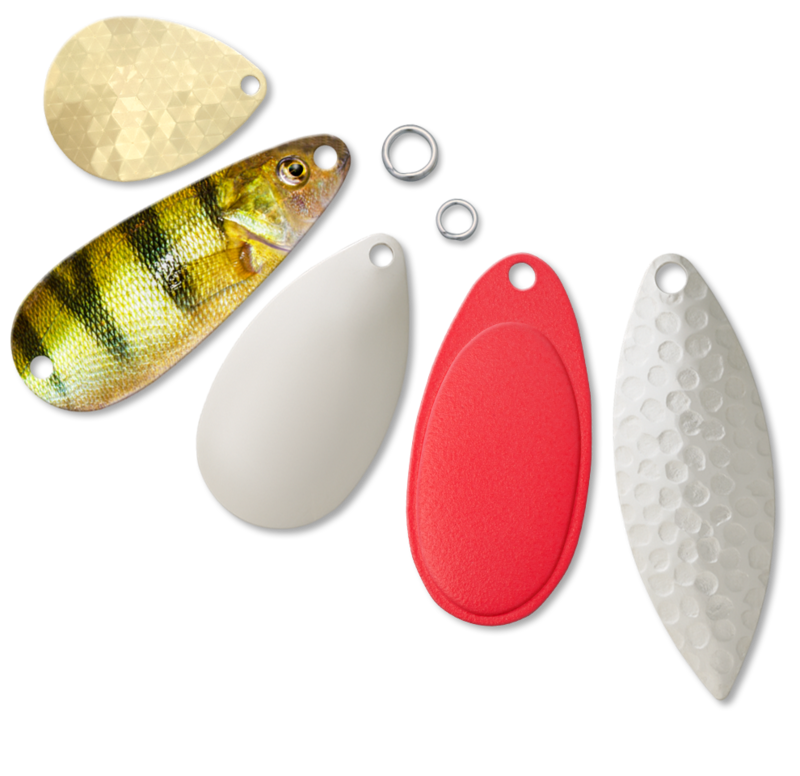 The Worth Company is the leading original equipment manufacturer (OEM) of high quality fishing lure components in bulk quantities. We are proud to be a family owned and operated American manufacturer, located in Stevens Point, Wisconsin. All of our OEM fishing component products are designed and produced in bulk under one roof, ensuring the highest quality at the lowest price. Ripple blades have excellent reflective qualities and spin very freely. Stamped from solid brass, all polished and plated finishes are free from sharp or rough edges. Worth's new line of Aspen Willow Leaf blades are designed to be a perfect substitute for traditional Willow Leaf blades.